The question is good. The goal is simple. You have a stash of both opened and unopened bottles and you’d like to preserve them. Let me help you, because I care about your collection just as much as you do. There are plenty of internet sites that take the time to delve into the discipline of preservation. They speak to esters, congeners, catalyzation, and volatility, and they do this with precision instructions based upon equations and compound formulas. While I certainly do not discount the scientists, I do question some of the conflicting results, reports, and practices that have arisen from within their ranks. I am appreciative of their writings, and sometimes even interested. Nevertheless, for me, the field called “whisky” has become more and more an experience in art, nay, the spiritual realm. It is something that is given to mankind from another sphere — revealed through the experience of those who would be caretakers of the divine. And so, the mandates that follow have been revealed, preserved in an ancient manuscript that we would know the truth. I believe they serve accordingly as wisdom from on high, given that our whiskies would enjoy long lives and would prosper in the land. For those of you who struggle with the language, I have provided interpreter’s notes. Interpreter’s Note: Keep your whisky out of natural and man-made light for any long period of time. Very bad chemical reactions will take place in the bottle that will ruin the flavor. Interpreter’s Note: Keep your bottles in a cool, dry place. Temperature fluctuations are a no-no. The result is the same as the previous note, except you can add to that the acceleration of evaporation due to the shrinking and expanding of the cork — at least that’s my guess from personal observations. Interpreter’s Note: Do not store your bottles horizontally. The alcohol content is much higher than that of wine and will expedite the deterioration of the cork. Always, ALWAYS store your bottles upright! Interpreter’s Note: There is much controversy surrounding this particular rule, but as you can see here, I have a full manuscript while others only work from a partial or a copy. Thusly, let the viewer see from the exegesis of the original text, there is no debate. 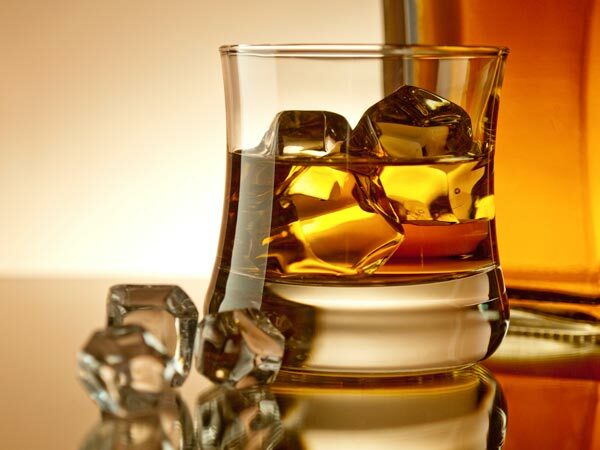 Orthodox whisky drinkers will turn according to the letter of the Law, which as it is written, is every twelve months. Of course many find it acceptable to turn them as little as once every few years or as much as once a month. These are the same folks you see in church every Christmas and Easter. Don’t follow them as examples. You may as well store the whisky on its side or put a hair dryer to it every day at noon. Once a year is plenty for moistening the cork. In between, the whisky itself will provide enough moisture to keep the cork preserved for a very long time. Marion, don’t look at it. Shut your eyes, Marion. Don’t look at it, no matter what happens! But I have to! It’s so glorious!! What is your opinion on oxidization? Shall thoust port thy sacrament to a smaller vessel when it reacheth half empty??? Verily I say unto thee, I have consumed whiskies that have rested for many years in their original bottles and yet with only a tiny bit left in the bottom…and because they have been faithfully kept according to the divine mandates, there was no difference. It was so proven as I finished a bottle of The Balvenie RumCask that had only an ounce and yet I kept it for many years for fear of saying goodbye. But I had another, and thus I opened it, offered a toast to the dearly departed friend. To my surprise, their kinship was indeed unbroken. I noticed no change whatsoever (and I would like to think that I am skilled enough in the craft that I could have detected something). Henceforth, from this day forward, I must confess to the uttermost that the oxidizing effect, though it may be scientifically true, has little if any effect when pit against the most holy whisky it seeks to destroy. So, no. I don’t give it much concern. When a bottle gets low, grieve as long as your spirit requires before sending it off. And verily I say, Amen. May the force be with you. Wait, wrong religion.